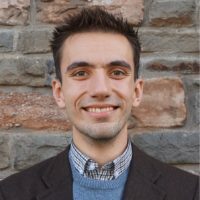 Craig is a Research Associate with the Wales Centre for Public Policy, working on a range of assignments in the Centre’s work programme for Ministers. Since joining the Centre, Craig has published reports on the role of sub-national governments in international trade negotiations, evidence on public banking institutions, and the viability of shared services in local government. He is currently researching the policy areas of health, education and justice, as well as supporting the Centre’s ongoing work on the implications of Brexit for public policy in Wales. His research interests are in politics and public policy. He has published in leading refereed academic journals on issues of party politics, public opinion and elections. He completed his Ph.D. in Politics at Newcastle University in February 2018, funded by the Economic and Social Research Council. His thesis focuses on the potential for co-operation between political parties, using a case study of the British Labour and Liberal Democrat parties. Prior to completing his Ph.D. thesis, Craig completed a B.A. and M.A. at Newcastle University, both in Politics.